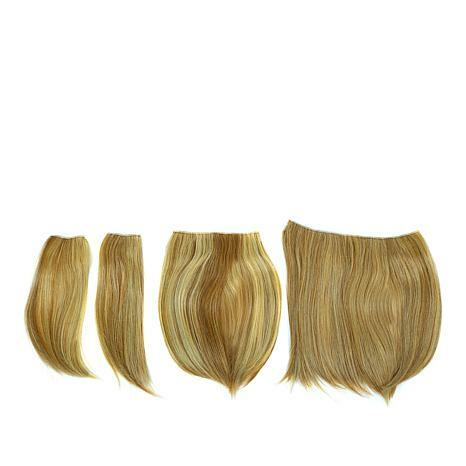 An easy to use, versatile hair extension kit, perfect for temporarily adding length and volume to hair. 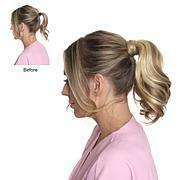 Start in the middle part of the head and pull hair apart from the temples, clip that hair away. Clip in the main extension first. Separate another section just above where you clipped the extension and clip in the smaller piece. Followed by clipping the smallest pieces on each side as needed. Comb the hair that you pulled forward over the extension to blend. Back comb your hair before clipping the extensions if needed. Clips snap open and close just like a barrette. I'm thinning on right side of head so side piece is a must have and it softens the face. The colors look very natural in the blondes. 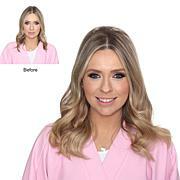 Can wear just one hair extension in back for fullness at top or one extension at bottom for length. Create a two tone effect by mixing your own hair with it. Pretty sure I'm going to like it. I've tried these extensions on but haven't worn them yet. I love the fact that the side clips are placed vertically for a really secure hold. It's summer now and humidity brings out my fine natural hair's curliness; it just doesn't blend. But I ordered these extensions to wear in fall and winter when my own hair goes limp and straight. I'm pretty sure they will give the added volume I'll need. I've tried them on in different combinations and different positions and they all look good. 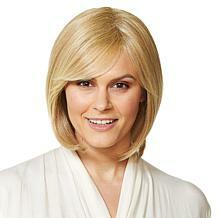 I'm dark blonde who doesn't like to bleach hair to medium blonde so this is perfect in my hair. I bought both colors to give ombre affect. The clips stay put in my baby fine hair and to take them out you must keep your fingers at the clip and work them out slowly. Patience is the key until becoming a master like Christie. It is true your hair looks better with these if you don't have damaged ends. 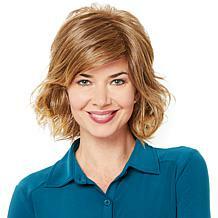 Thank you HSN for selling Christie's hair2wear. These feel and look so real. They very comfortable and stay in. I purchased the dark brown, my hair is in between dark brown and black, so I though these looked a little light when I received them... but after I had them in they blended so well. 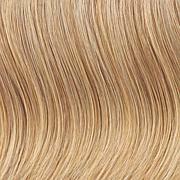 Ordered Medium Blonde. Blends perfectly with my hair color. Have been looking for side pieces and the ones in this kit are just right for my shoulder length hair. Don't even know I have them in. Remind me about Christie Brinkley upcoming shows.